On April 11th, 2019, the co-founder of the Boycott Divestment and Sanctions (BDS) campaign for Palestinian rights, Omar Barghouti, was prevented from boarding a plane to fly from Tel Aviv to the United States for a lecture tour, and to attend his daughter’s wedding. The US government had cancelled his visa and denied him entry. The BDS campaign world-wide is united in its condemnation of this act of repression of free speech, and has issued this joint statement. This statement, issued by Birzeit University on July 12th, has been endorsed by BRICUP. Sign the petition in support of the ASA in the face of attacks from the Brandeis Center. Read the Joint statement of Palestinian Student Societies here. Read the joint press release from BRICUP and AURDIP here. BRICUP's model resolution has been adopted by UCU Congress, no doubt to the dismay of the Board of Deputies and other sections of the Israel lobby. Read the joint press release from BRICUP and Free Speech on Israel here. Students at Sciences Po, the leading French social science university, protested strongly when the university management invited the Israeli ambassador to France to lecture at the university. The students delivered an uninterrupted five-minute statement indicting Israel’s violations of Palestinian rights, condemning efforts to censor the Palestine solidarity movement in France and calling for full support of boycott, divestment and sanctions (BDS). After they had expressed their anger they staged a mass walk out. BRICUP has co-signed a letter in support of Eleonora Roldán Mendívil who is being victimised for alleged antisemitism. She has not been informed about what material of hers is claimed ot be antisemitic; an allegtion she firmly denies. We were dismayed to hear of the decision taken by the Otto Suhr Institute for Political Science of the Freie Universität Berlin to suspend the follow-up teaching contract of Eleonora Roldán Mendívil, and to initiate an investigation of alleged antisemitic content in material that she has published. In a significant boost to the campaign to support Palestinian rights and Palestinian academics, Professor Catherine Hall of University College London, the widely respected cultural historian, has withdrawn her acceptance of the Israeli Dan David Prize. Catherine Hall has renounced her share of $1million, placing principle above financial gain. Catherine's stance ws reinforced by the decision of Professor David Shulman, Renee Lang Professor of Humanistic Studies at the Hebrew University in Jerusalem, to donate his prize to to Ta'ayush, an Israeli group that assists Palestinian residents of the South Hebron Hills. He also released a video documenting the attacks on Hebron Palestinians by settlers and the IDF. Israel has officially refused to renew the travel document of Omar Barghouti, co-founder of PACBI, in a move that amounts to a travel ban and is an escalation of its attacks on non-violent Palestinian human rights defenders and on the BDS campaign. travel in and out of Palestine/Israel. His immediate reaction was: “I am unnerved but certainly undeterred by these threats. Nothing will stop me from struggling for my people’s freedom, justice and peace”. On 24 April Imad al-Barghouthi, Professor of Astrophysics at Al-Quds University, was again siezed by the Israeli Army and placed into administrative detention. Professor al-Barghouti has an international reputation for his work and has been employed by the US NASA. French partners AURDIP played a leading part in the campaign to get him released. BRICUP and AURDIP members met Professor al-Barghouti on their tour of Palestinian Universities and were impressed by his seriousness and hs calm resolve to continue to oppose Israeli occupation peacefully despite the risks to him and his family. BRICUP and AURDIP are committed to securing his prompt release again and will be publicising very soon how academics and others can take action in support. BRICUP, AURDIP and BACBI have written to the European Commissioners asking them to demand that the Israelis allow international observers to attend Professor Barghouti's trial to lessen the risk to his human rights and enhance the prospects of a fair trial. The British Committee for the Universities of Palestine (BRICUP) has issued a call directly to academic colleagues in the UK scientific community NOT to apply for funding through the Britain Israel Research and Academic Exchange (BIRAX). This is a politically motivated scheme whose purpose is to protect Israel from the growing Boycott Divestment and Sanctions movement. accountable for its crimes against Palestinians. We call on UK-based scientists to follow the example of Stephen Hawking – who chose to boycott Israel in 2013 by refusing to attend the Israeli Presidents Conference – and decline to participate in BIRAX. BRICUP, along with its sister organisations in France and Belgium, has written to EU Foreign Policy Chief to protest against the participation of the head of the EU delegation to Israel, in the “Stop the Boycott” Conference in Jerusalem on 28 March. His presence both undermines the EU policy on the illegaility of settlement goods and implicitlyt endorses the threats to the safety, and even lives, of BDS advocates issued at the conference. The letter demands that the EU "reassert the EU’s opposition to existing and prospective Israeli settlements in the illegally occupied territories, and above all warn the Israeli government against attacks on Omar Barghouti and other Palestinian civil rights activists"
A year ago Southampton University succumbed to Zionist and Government pressure and cancelled International Law & the State of Israel: Responsibility, Legitimacy and Exceptionalism Conference. The organisers, with the support of hundreds of supporters launched legal action to get the university's actions reviewed. At the same time they have been trying to negotiate the re-instatement of the conference but have been told they must pay a prohibitive security bill of £25,000. The organisers have also asked for judicial review of this effective ban. These cases are both due in the courts in April and the conference organisers are appealing for financial support. Professor Uri Ram, the newly elected president of the Israeli Sociological Society, has called for a boycott Ariel University, located in a West Bank settlement. “We will not cooperate with the institute known as Ariel University, which is not located within the bounds of the State of Israel,” he said in an interview with Army Radio. The boycott initiative by Prof. Ram of the Ben-Gurion University of the Negev will first need to pass a vote of the Israeli Sociological Society, which includes some 1,000 researchers and academics. The members are expected to discuss the initiative at an upcoming Society meeting in April. Should the motion pass, it would mark the first time that an Israeli academic association would boycott an Israeli university. Ariel University management denouced this call for a moral stance as "semi-fascist" - takes one to know one. McGraw-Hill, the major US text book publishing house, has withdrawn, and is destroying all copies of, a political science textbook , Global Politics: Engaging a Complex World following objections to a map showing the shrinkage of Palestinian land from 1946 to the present. This sequence of maps, which is a graphic representation of successive Israeli land seizures, has long been the object of Zionist ire and they have frequently protested at its use. initiated an academic review. The review determined that the map did not meet our academic standards." They did not say what the academic standards were or what were the backgrounds and qualifications of the reviewers and why they were more qualified than those engaged in the pre-publicatin review process. Zionist lobby groups have been engaged in a long running camapign to demonise the powerful Palestinian rights campaigns on University of California campuses. They have been fighting back against powerful divestment campaigns at UC San Diego, UC Irvine, UC Santa Cruz, UC Berkeley and UC Riverside; a BDS vote in the Student Workers UAW trade union branch; and camapigns in support of professors under attack for support of Palestinians at UC Santa Barbra and elsewhere. While the lobby groups have fallen short of getting the full EUMC definition of antisemitism included in the policy document, they have succeeded in gettng a false and damaging equation of anti-semitism and anti-zionism inserted. Zionists in the US, as well as in the UK and many other countries, know htey have lost the arguments about the illegality and inhumanity of the Israeli regime and are determined to prevent open discussion. To do this they have demonstrated they will abuse both political and judicial processes. BRICUP has written to Professor Giacomo Pignataro, Rector of Catania University, to protest that a panel on the implications of academic and cultural boycott campaigns against Israel, meant to take place during the conference of the Italian Society for Middle Eastern Studies has been removed from the official programme. This follows on the banning or cancellation of events around Palestine at a number of Italian Universities in recent months. These multiple occurrences suggest a worrying pattern of an organised campaign to disrupt and prevent the open discussion of key human rights issues – exactly the sort of liberty which should be second nature to universities. Complicity in this campaign of censorship threatens to bring the whole Italian university system into disrepute. BRICUP has been keeping the British Council's BIRAX: the Britain Israel Research and Academic Exchange Partnership under review for some time. The British Council's role is to promote British culture globally but here it is being used to promote Israeli, not British, interests. 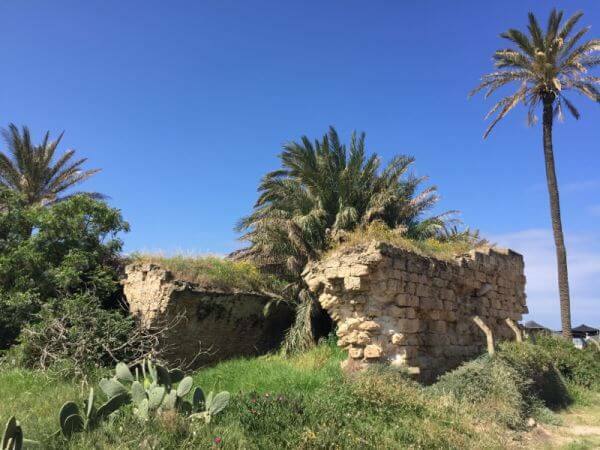 Document disclosed under a Freedom of Information request revela that that Nathan Kirsh, a billionaire businessman profiting directly from the apartheid wall. by describing itself as a “non-political organization.” Yet internal correspondence shows that behind the scenes the British Council has been making strenuous efforts to track and oppose the boycott. began in late September 2015; and legislation targeting human rights organizations and supporters of the Boycott, Divestment and Sanctions movement. The measures include a new anti-boycott bill which will ban 'BDS advocates' from entering Israel and territories under its control. This will bar many academics from meeting thier colleagues in Palestinian universities and further isolate Palestinian higher education. A submission was made in January this year by 71 UK doctors to the WMA, attaching a comprehensive report from the Israeli organisation Physicians for Human Rights (PHRI), with detailed case studies showing the complicity of Israeli doctors working in security units in which torture of Palestinian detainees was routine. The BMJ has previously reported on this. We also submitted a study published last November which showed that sexual torture too was endemic. Why are the doctors posted to these units not protecting the detainees and protesting, and why has the IMA never acted on such reports, as required to do by the WMA Declaration of Tokyo? The new WMA President is the UK medical academic Sir Michael Marmot, and we looked to him to bring his international reputation to bear on a case that has been a standing reproach to the idea that global regulation of the ethical behaviour of doctors is even-handed and effective. His response is superficial and issued without examing the evidence provided. A response ot the dismissal of these concerns has been published in the British Medical Journal. 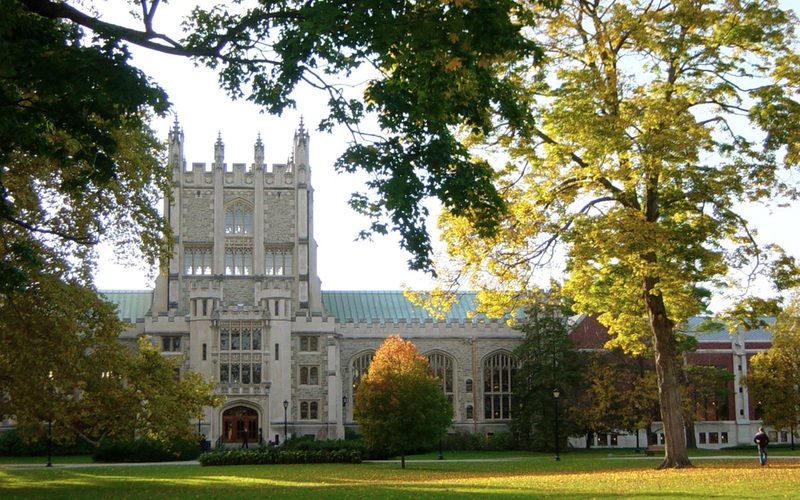 The Vassar Student Association (VSA) Executive Board was informed last week that if it were to pass a BDS amendment, the college’s Board of Trustees would “remove” student control of college funds for student activities, amounting to around $900,000. bylaws prohibiting VSA from using funds to purchase items from Sabra, Tribe, Ben & Jerry’s, Hewlett-Packard Company, Ahava, General Electric, Eden Springs, Motorola, Caterpillar, G4S, and Elbit Systems. Over 125 University of Toronto faculty members have announced their support for the Graduate Students’ Union’s (GSU) campaign to divest from three companies, Northrop Grumman, Hewlett Packard, and Lockheed Martin, that are directly profiting from the ongoing military occupation of Palestine territories. It also urges the Governing Council to form a committee to review and divest from all companies implicated in violations of international law. Management Corporation (UTAM) to divest from companies that are directly profiting from the ongoing military occupation of Palestinian territories, namely: Northrop Grumman, Hewlett Packard, and Lockheed Martin. It also urges the Governing Council to form a committee to review and divest from all companies implicated in violations of international law. Jonathan Ofir conducted a long interview with Teddy Katz. Katz was a student of Ilan Pappé at Haifa University who wrote his masters thesis on The Tantura massacre in May 1948, committed by Haganah forces just days after the declaration of the State of Israel. Katz's well researched thesis contradicted the Zionist narrative of a humane occupation of Palestinian land. Katz came under enormous pressure to renounce his research and the interview reveals how he came, under duress to sign a recantation. The interview reveals how Israel's commitment to academic freedom abruptly terminates when researchers reveal the basic flaws in the State's Zionist narrative. 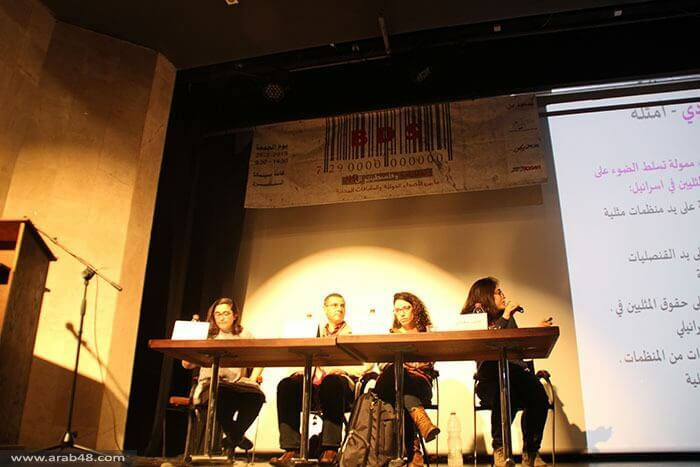 Israel’s large Palestinian minority held its first-ever conference on BDS in February 2016 in spite of anti-boycott legislation introduced five years ago that exposes activists in Israel to harsh financial penalties.The conference – titled “BDS and ‘48 Palestinians: Between International Influences and Local Contexts” – had been a long time in the making. 10 UK academics of Jewish origin sent a message of support to Oxford University Labour Club after the club was accused of antisemitism for supporting Israel Apartheid Week. They told the club "As academics of Jewish origin we know what antisemitism looks and smells like and we know that IAW is not antisemitic"
The Israeli government recently allotted nearly $26 million in this year's budget to combat what it sees as worldwide efforts to "delegitimize" the Jewish state's right to exist. Some of the funds are earmarked for Israeli tech companies, many of them headed by former military intelligence officers, for digital initiatives aimed at gathering intelligence on activist groups and countering their efforts. Vaknin-Gil, the director general of Israel's Ministry for Strategic Affairs and Public Diplomacy [hasbara] said her ministry is encouraging initiatives to expose the funding and curb the activities of anti-Israel activists, as well as campaigns to "flood the Internet" with content that puts a positive face on Israel. She said some of these actions will not be publicly identified with the government. The call received worldwide coverage. You can follow links to the items we have come across. In an unprecedented statement university teachers say they will not do business with Israel’s university institutions and system. Professors and lecturers, Fellows of the Royal Society and Fellows of the British Academy say they will not visit Israel’s universities. Academics from across 72 different institutions have made the Commitment, more expected to follow as campaign grows. Full page advertisement in The Guardian newspaper on 26 October announces launch of the Commitment. Israeli universities are “deeply complicit” with Israeli violations of international law. Organise a campus meeting on the Commitment later this term or in the spring, contact BRICUP or the Commitment organisers to request a speaker. Acadremics at this leading US university announce they stand with Columbia University Apartheid Divest, Columbia Students for Justice in Palestine as well as with Jewish Voice for Peace in calling upon the University to take a moral stance against Israel's violence in all its forms. They demand that the University divest from corporations that supply, perpetuate, and profit from a system that has subjugated the Palestinian people for over 68 years. They note that our position unequivocally stands in support of a non-violent movement privileging human rights as the only means toward finding a political resolution. The law firm Milbank Tweed sponsored many pro-Israel events at Columbia Law School and a session on CIA torture, too, with its name plastered all over these events, and there was no problem– but it blew a gasket and reportedly asked for its money back from Harvard Law School because an event last October was pro-Palestine and had Milbank’s name on it, thanking the firm for its support. USACBI issued a call to launch Faculty for Justice in Palestine groups on campuses in order to provide a structure for faculty to engage in Palestine solidarity work and support SJP organizing and BDS campaigns. Faculty at UC Davis, Kent State University, University of Florida, University of Hawai‘i and Purdue University have launched groups including faculty, graduate students, and staff. Alternatively titled “Faculty for Justice in Palestine” or “Faculty and Staff for Justice in Palestine,” the members make a minimal commitment to the founding principles of USACBI. USACBI has called on faculty, graduate students, and staff at other universities within and beyond the US to follow the lead of these solidarity formations to provide a structure for local organizing. AURDIP and BRICUP have written to the European Union’s High Representative for Foreign Affairs and Security Policy, and to the European Commissioner for Research, Science and Innovation to alert them to the dramatic situation of Palestinian students confronted by the new Israeli aggression which targets in particular Palestine’s youth and its education system. The letter urges the suspension of the EU-Israel Association Agreement. In April 2015 three BRICUP members were part of a pan-European delegation that visited six Palestinian Universities to learn at first hand how the occupation undermines research, teaching and learning. There would have been four BRICUP delegates but one of us was refused entry at Tel Aviv Airport. We were treated with great courtesy at all the universities where, in each case, we met the President of the University or their deputy as well as a great number of staff. students and trade union reps. They unanimously expressed great appreciation of the global movement for the academic boycott of Israel. Our meeting deepened our understanding of the indignities and disruption Israeli occupation imposes on Palestinian academics and the lack of concern expressed by Israeli academics for those who they should regard as their peers even when professors at Palestinian universities are arrested and detained without charge or trial. While we all knew that the occupation disrupted Palestinian universities our visit taught us how the multitude of, what may be individually small, disruptions combine and interact to create total inability to conduct normal academic business. It is the combination of travel delays; the refusal of the Israeli authorities to allow the import of standard text-books; the delays or impossibility or acquiring mundane and innocuous materials necessary for teaching and research; the time spent freeing students from arbitrary arrest (or even finding out if they have been arrested and if so where they are held); the impossibility of employing overseas scholars to teach specialist modules; and so on and on and on. A high court judge decided that political pressure backed up by spurious claims of threats to health and safety outweighed academic freedom and upheld Southampton Univerity administration's ban on the conference. Haim Bresheeth has prepared an update on developments at Southampton University following the unprecedented ban of the academic conference on International Law and the State of Israel, on behalf of BRICUP. His article details the pressure Zionist organisations, Conservative MPs and Cabinet Ministers put upon the University administration. He demonstrates the falsity of the University's claim that it cancelled the conference on Health and Safety grounds. The article places the cancellation of the Southampton conference in the context of cancellation of events promoting Palestinian rights at other UK and European Universities; increasing aggression by Israel; and an escalating campaign to label all criticism of Israel as anti-semitic. It is standing principle and recognised practice that academic conference organisers have the right to choose those speakers and topics they feel would best address the purposes of the conference, without these being dictated to them by outside parties. To the best of our knowledge, the conference invitations in this case are based on qualification to speak on the topic rather than on political positions held. Mark Pepys and others issued an attack on Robert Horton, the distinguished editor of the Lancet which included, inter alia, such terms as: grossly irresponsible; vicious and deliberately inflammatory falsehoods; grave breach of editorial ethics; betrays the scientific process; malignant wilful disregard of honest and ethical. These outraged correspondents, opponents to a woman and man, of BDS as an abuse of academic exchange announced without a hint of irony that they would boycott the Lancet. Most recently John Yudkin and Jennifer Leaning have published a BMJ editorial denouncing the Pepys attack; BRICUP chair Jonathan Rosenhead and BRICUP member and open leter signatory Derek Summerfield have responded to the editorial. The main claim is that the BDS movement is led by darkskinned people who are angry at Jews: "College activists favoring divestment have cast the Israeli-Palestinian conflict as a powerful force’s oppression of a displaced group, and have formed alliances with black, Latino, Asian, Native American, feminist and gay rights organizations on campus. The coalitions — which explicitly link the Palestinian cause to issues like police brutality, immigration and gay rights — have caught many longtime Jewish leaders off guard, particularly because they belonged to such progressive coalitions less than a generation ago"
The article ignores both Israeli crimes against humanity and increasing Jewish campus support for BDS. Tel Aviv University notes that the honorary fellowships are awarded to the recipients “for their unprecedented contribution to the strength and security of Israel and its citizens; the determination and vision in developing the Iron Dome system in the face of numerous obstacles and difficulties; many years of activity in service of the state, in the framework of the Israeli army and defense industries; the personal example in promoting cooperation in scientific research for the security of Israel; and enhancing the reputation of Israel for technological ingenuity, which is a source of pride for Jewish communities throughout the world. The National Association of Chicana and Chicano Studies Annual Conference took place in San Francisco from April 15-18, 2015. The business meeting, open to all members, took place on Saturday evening at the close of the conference. At the business meeting, the membership gave unanimous support to the Resolution to Support the Boycott of Israeli Academic Institutions. In addition, individual FOCOS (regional caucuses) and interest group Caucuses all voted to support the resolution. Well over a hundred prominent academics from the Europe and the United States—including Alain Badiou, Etienne Balibar, Catherine Malabou, Jacques Rancière, Judith Butler, Angela Davis, Richard Falk, and Gayatri Spivak--have sent an open letter to Mériam Korichi, Curator and Stage Director of A Night of Philosophy. The letter calls attention to the tremendous irony of having as one of the keynote speakers Monique Canto-Sperber. For a major event on philosophy, a field that is predicated on free inquiry and intellectual exploration, to give a forum on free speech to someone who, as the head of one of the major prestigious schools in France, was responsible for two of the most egregious acts of censorship of Palestinians and of critics of Israeli state policies, is beyond being a stark contradiction—it is appalling. While the signatories recognize and respect Canto-Sperber’s right to speak at the event, they find it incumbent upon themselves to register hteir profound disappointment and to protest in the strongest terms possible that one of the key people you have selected to promote free speech at your Night of Philosophy has been an open practitioner of denying the same to Palestinians and their supporters. Firstly, that although the Israeli Government may have made mistakes, some serious, it has done nothing criminal or beyond the usual failures of democratic states. Secondly, all calls for BDS arise from malevolence at best and outright antisemitism at worst. Thirdly, there is no fundamental imbalance of power between Israelis and Palestinians and so an open and productive dialogue between equals can be straightforwardly fostered and will be effective. Fourthly, that a two state solutions is desired by the Israeli government and is still a feasible outcome. Jake Lynch, who last year defeated the case brought against him by anti-BDS law firm Shurat HaDin, is again in the crosshairs of the Israel lobby in Australia. After an incident at Colonel Richard Kemp’s appearance at Sydney University on March 11, false accusations of anti-Semitism were made against Lynch and colleagues present at the talk. While these charges have since been thoroughly debunked, and dropped by the Zionist press that first circulated them, the university is still pushing ahead with an investigation into Lynch and others. It will announce whether it will lay disciplinary charges against them on Thursday April 9. Sydney Staff for BDS, is hosting an open letter to Vice-Chancellor Michael Spence, calling on him to reject these calls to discipline or sack staff involved in pro-Palestine activism at the University of Sydney. IJAN, the International Jewish Anti-zionist Network has just published a detailed analysis of the individuals and foundations that are financing anti-Palestinian activity in the US, on campuses and elsewhere. The 120 page report includes five case studies on how disruption of campus campaigns were financed and organised; how donors pressurised universities; and the disinformatoin spread to undermine legitimate campaigns. The report, which synthesizes thousands of pages of tax returns, demonstrates that a small handful of individuals, including right-wing donors Sheldon Adelson, the Koch Brothers, Newton and Rochelle Becker, the Sarah Scaife foundation and the Bradley foundation are responsible for a huge portion of this funding. These same donors, many of whom earned their wealth from or are invested in industries that profit from war and instability in the Middle East, are involved in attacks on other progressive causes. Students at the University of Sydney noisily, but non-violently, disrupted a talk by Gaza massacre apologist Colonel Richard Kemp. Members of the audience threw water a the protestors and kicked Professor Jake Lynch who intervened to try to halt the rough removal of the protestors by university security staff. NSW zionist bodies and the Murdoch owned Australian then claimed that the audience were traumatised by the violence they were subjected to. Video evidence demonstrates that these claims are fictions and the protestors were clearly chanting against Israeli crimes and were not, in any sense, anti-semitic. Students at McGill University in Montreal have ben campaigning for a divestment motion. This attracted the atention of Justin Trudeau. leader of Canada's Liberal Party. He claimed the campaign was anti-semitic. Students and professiors a the university responded furiously condemning his attack on thier right to campaign in defence of Palestinian rights and his contempt for free speech. Noam Chomsky joined other widely respected international scholars in expressng outrage at Professor Fortier's, principal and vice-chancellor of McGill, dismissal of the students' protest at her condemnation of their BDS call. There was also a letter of protest from over 50 McGill professors and a letter from over 300 alumni. On Feb. 20, Northeastern University (Boston, USA) Students for Justice in Palestine received a memo from the student government cabinet disqualifying a proposed divestment referendum on the grounds that it would create a "hostile, threatening, intimidating, humiliating, or otherwise abusive environment" for students. We know that the opposite is true -- divestment is a time-honored, nonviolent tool to rectify gross injustice. The full student government will decide on March 16 whether to allow a divestment vote or not. At the end of February Staff and Students at the prestigious London School of African and Asian Studies (SOAS) voted overwhelmingly to back the academic boycott of Israel. 73% of the over 2000 votes cast backed the boycott. They are calling on the School management to end its collaborative arrangements with the Hebrew University of Jerusalem. The campaign for a yes vote was backed both by UCU, the academics’ trade union, and UNISON, the support staff union as well as by the Student Union. essential element of the Agreement." Innovation and Science pointing out the repeated examples of how Israel has breached their undertaking and demanding that Israel's participation in the ERA is suspended until it complies. While Ohio State students are fighting their student government for their right to vote on divestment students at nearby University of Toledo overcame all the obstacles put in their path. Local and national Zionist organisations lobbied hard to stop their vote. They repeated the common slurs against BDS – that it was anti-Semitic; that it singled out Israel; and so on – but the student senate respected a 5400 signature petition and voted 21 to 4 to divest from companies which profit from Israeli violations of Palestinians’ rights. This vote follows closely on similar victories at Northwestern University and Stanford University. Imperial College Islamic Society booked accomodation at the College for the 2015 Palestine Confererence wiht a range of repsected speakers including Mustafa Barghouti, Ilan Pappé and Ben White. At the last minute the College management cancelled the booking without providing any reason and the organisers had to post a Facebook notice announcing the change the day before the event. The action by Imperial College follows on a similar move by the University of Rome III which denied an event’s organizers use of its prestigious Center for Italian and French Studies for a debate the use and abuse of identity in Europe and the Middle East, again due to feature Ilan Pappé. The debate was relocated to an alernative, less suitable, venue. While the University gave no substantive reason, a pro-Israel website, Informazione Corretta, claimed victory, stating that thanks to “friends in Rome,” the venue had been denied due to protests over its proximity to the city’s Jewish quarter. The new venue was packed with a standing room only crowd, as was a last-minute overflow room, providing the opportunity to listen to an open debate in which Palestine was one issue in a wider conversation about power and knowledge. 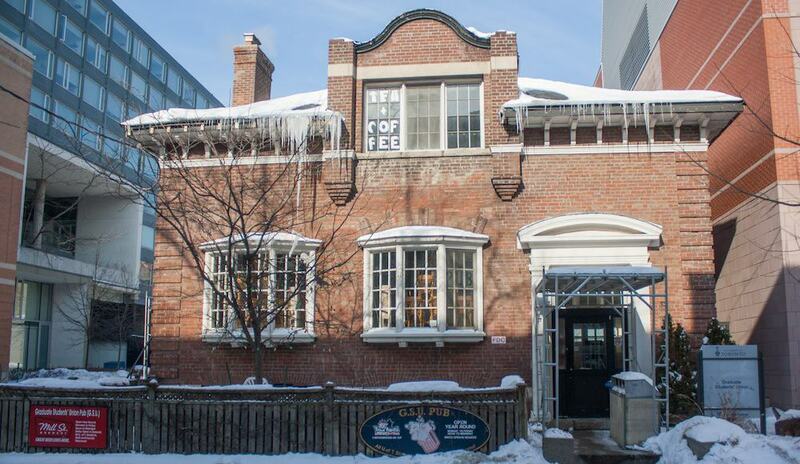 In March 2005, the Arab Students’ Collective, a campus organisation at the University of Toronto, held a series of local events to support Palestinians and protest Israeli policies. Hoping to broaden debate at the end of the second Intifada and on the eve of Israel's redeployment of ground forces and settlers from the Gaza Strip, originally called "the separation plan," they called their proceedings Israeli Apartheid Week. A decade on, their creation has become an annual and globally-recognised event. This year, it will feature cultural and educational events, as well as public protests in more than 200 cities on six continents. “In the wake of Israel's massacre of Palestinians in Gaza, this year's IAW takes on even greater significance,” said Michael Deas, a London-based member of the IAW international coordination committee. Ohio State Undergraduate Student Government Judicial Panel has invalidated OSUDivest's petitions for inclusion on the ballot through a technicality that has been unevenly applied to others on the ballot and has no bearing on the integrity of the signatures we collected or the integrity of the upcoming USG election. The disqualification of our initiative from tomorrow's ballot is an attack on the more than 3,000 student voices that asked for this initiative to receive a fair hearing from our student body. That the Judicial Panel of USG delayed until the absolute, last possible moment to tell us about a perceived irregularity in our petitions, so that we had no time at all to defend ourselves or appeal the decision suggests this is not about technical violations of USG bylaws, but instead about a concerted effort to stop OSU students from voting on divestment. In a further move against supporters of Palestinian Rights the USG JP have informed the three Palestinian candidates for USG positions that they would also be removed for the ballot. The reason given by the JP was that they had not included their signatures on their nominating petitions, although they had already received approval to be on the ballot. Given the context of the decision, it clearly appears to be both retaliatory and discriminatory. AURDIP has launched a petition opposing École Polytechnique's links with Technion. École Polytechnique is one of France's leading research universities while Technion, Israel's leading technical research university which is heavily involved in developing drones and other weapons and surveillance systems used in the attack on Gaza and supporting the occupation. The new double agreement involves the exchange of faculty and students and takes the first steps towards a joint masters level programme. These agreements involve French academics in strengthening Technion’s weapons programmes and make the benefits of French research available to Technion for their own programmes. Israeli universities are proclaiming how they have supported the attack on Gaza. Tel Aviv University dean Yoav Ariel told his students “The university is proud of all its students and thanks those who did reserve service, I wish us all a swift return to our blessed routine.” The university had already announced last month that it would be providing one year of tuition stipends to soldiers. The Hebrew University of Jerusalem sent out a letter declaring “The university is joining the war effort to support its warrior students, in order to minimize the financial burden” on those who were called up to join the attack on Gaza. The university called on “friends and alumni” to donate to a special scholarship fund and links to a donation page that allows gifts to be earmarked for the “Protective Edge” fund. Professor William Robinson of UC Santa Barbara was the target of a campaign of intimidation, silencing, and political repression that included techniques described in the "Hasbara handbook" by the Israel lobby for his support of BDS; in contravention of academic freedom and university rules. "I may well have been run from the university if it were not for graduate and undergraduate students (together with a handful of committed colleagues), who early on in the persecution set up the Committee to Defend Academic Freedom that launched a worldwide campaign in my defense. This in turn sparked a good portion of the faculty into action, several months into the campaign of persecution against me, to defend my academic freedom. " BRICUP is one of the organisations endorsing the cinema and media call for academic boycott. The statement has already attracted almost 150 signatures. This call follows on from calls by philosphers, Middle East studies and African studies academics, Spanish academics and the Critical Ethnic Studies and African Literature Associations since Israel launched its latest assault on Gaza. This call further demonstrates the growing anger of academics worldwide at Israel's criminal activity, inflamed by events in Gaza but flowing from anger at the long history of occupation and blockade. The global academic community is stating clearly that it will not stand idly by but will actively support their Palestinian colleagues. One of the reasons for the Academic Boycott is the way in which Israeli actions make normal university life impossible in Gaza and the West Bank and East Jerusalem. This account from Nazmi Al-Masri, a Professor of English at the Islamic University of Gaza, describes in detail how research and studying (and everyday life) are disrupted. "As academics, we specifically support an academic boycott, by which we mean a principled refusal to associate with Israeli academic institutions that have not explicitly condemned the occupation. The urgency of this measure is underlined by the fact that, so far, not a single Israeli academic institution has issued such a condemnation, and many have even made their support for the state's recent actions clear – witness the University of Tel Aviv's recent offer to waive a year's fees for students who served in the attack on Gaza, whilst threatening to discipline students for criticising Israeli forces on social media." As members of the [Spanish] university community, we answer the call of Palestinian society and Palestinian universities for people and NGOs around the world to join the Boycott, Divestment and Sanctions (BDS) campaign against Israel. This is the most peaceful and effective way of making Israel comply with international law. The BDS campaign against Israel started in 2005 in response to Israel’s constant human rights violations and the lack of determination of other countries and international organisations to take effective action. The campaign is inspired by the successful experience of the international boycott of South Africa, which brought down apartheid. It has received the support of outstanding activists like the Nobel Peace Prize winner Desmond Tutu, progressive Jewish organisations such as the Jewish Voice for Peace and a growing number of Israeli academics. This shows how BDS is an effective way for us to put international pressure, through non-violent action, on Israel to respect Palestinian Rights. "We, the undersigned African scholars and scholars of Africa, hold that silence about the latest humanitarian catastrophe caused by Israel’s new military assault on the Gaza Strip—the third and most devastating in six years—constitutes complicity. Member states of NATO which mounted an air war on Libya ostensibly to protect civilians in Benghazi have been by and large quiet about the fate of civilians in Gaza. World governments and mainstream media do not hold Israel accountable for its violations of international law. We, however, as a community of scholars have a moral responsibility to do so. .."
Dr. Steven Salaita, a Palestinian American and world-renowned scholar, was fired from his new position at the University of Illinois Urbana-Champaign (UIUC) because of his public criticism of the U.S.-sponsored Israeli massacres in Gaza. He was also a prominent campaigner for the American Studies Association’s decision to boycott Israeli academic institutions last December. "calling on our brothers and sisters in the trade union movement internationally to stop handling goods imported from or exported to Israel. The trade union movement has a proud history of direct action against Apartheid in South Africa, the Congress of South African Trade Unions has joined us in the call for direct action to end Israel’s impunity." The Tricycle Theatre in Kilburn, London has reponded to protests at the theatre last year against their hosting of the 2013 Israeli Film Festival. Indhu Rubasingham, artistic director of the Tricycle said in relation to their decisoin to withdraw form the 2014 festival, "The festival receives funding from the Israeli embassy and given the current conflict in Israel and Gaza, we feel it is inappropriate to accept financial support from any government agency involved." The Tricycle Theatre is a leading London fringe theatre with a distinguished record of mounting radical plays. An NUS spokesperson said: "The motion passed by our national executive council commits us to ensuring that, as far as is practical, NUS does not employ or work with companies identified as facilitating Israel's military capacity, human rights abuses or illegal settlement activity, and to actively work to cut ties with those that do." Unite, the largest UK trade union passed a resolution which commits it to develop a “campaigning and leverage strategy around BDS within the next 12 months" at its annual policy conference. The construction of the Israeli wall across and through Palestinian land in flagrant violation of the rulings of the International Court and despite international condemnation, notably from the EU, is making everyday life, to say nothing of teaching and research, ever more difficult for our Palestinian colleagues. . . . .
- to oppose the continued illegal Israeli occupation of Palestinian lands with its concomitant breaches of international conventions of human rights, its refusal to accept UN resolutions or rulings of the International Court, and its persistent suppression of Palestinian academic freedom. You can sign up for the BRICUP supporters list.